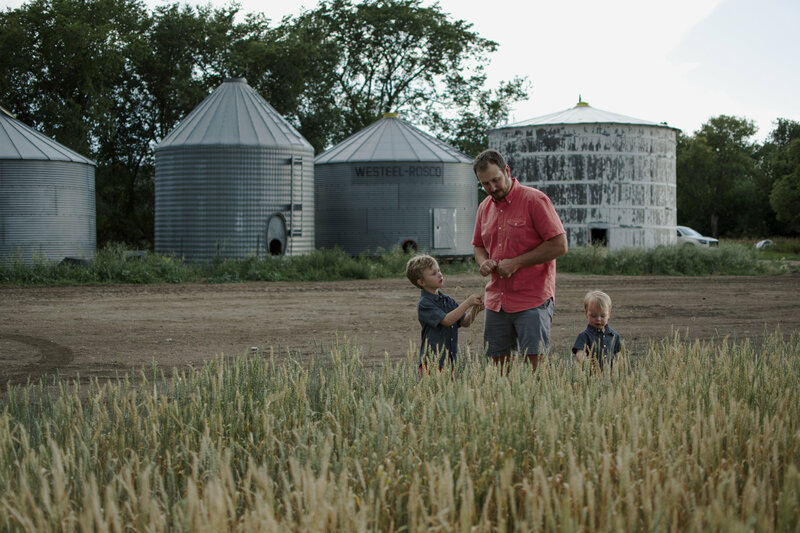 For Garnet Martin, his rural life is best summed up with three words: family, farming and finances, with family being the unshakable principle. The Watrous, Sask. farmer along with his wife, Darlene, adhere to those words daily, especially as they have been in the throes of succession planning with son, Derek, daughter, Lesley Kelly, and son-in-law, Mathieu Kelly, since 2010. The trio of values is interconnected and valuable in unique ways. The conviction is that without one of three core beliefs, the other two aren’t as strong. It’s simple and complicated all at once. Above: Left to Right; Derek Martin, Lesley Kelly, Garnet Martin, Mathieu Kelly – Photos courtesy of Lesley Kelly. The 6,000-acre operation, Evergreen Woodcreek Farms, produces canola, canary seed, lentils, milling oats and wheat. The family has also become recently involved with certified seed production. For many Prairie farmers, huge tracts of land mean they are operating multimillion-dollar businesses. What may come as a surprise is how few have succession plans in place or have even had a conversation about who will be the next on-farm generation, if anyone. Above: Garnet Martin with his grandchildren Jennings and Copeland – Photos courtesy of Lesley Kelly. Above: Darlene with grand daughter Danyka – Photos courtesy of Lesley Kelly. The genesis of the family farm was 108 years ago in 1910 with Garnet’s grandfather, Robert Martin Sr., a Scottish immigrant. He broke 60 acres of wild Prairie with oxen just west of where the current-day farm sits near Watrous. Garnet’s father, Robert Martin Jr., began to farm following service as an Air Force mechanic during the Second World War. As Garnet grew up in the ’60s and ’70s, he loved farm life and all that came with it. 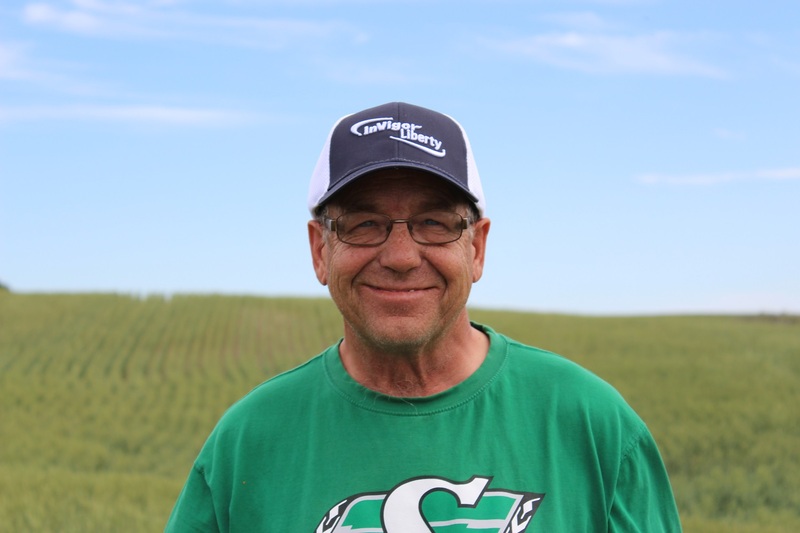 When he graduated high school in 1975, he went straight into a farming partnership with his father and second cousin, Vernon Christianson. “The deal was basically Vernon and I each got 25 per cent and dad got 50 per cent,” says 60-year-old Garnet. The young man was happy to be behind the wheel of his dad’s machinery and peel back another layer of what it meant to be a farmer. For seven years, the three of them farmed 1,500 acres, half of which were left as summer fallow, and life was good. In 1980, they diversified their income by renovating a run-down hog barn to accommodate a herd of feeder cattle. They continued this way for nearly another two years before grain prices started to tumble. Cousin Vernon grew weary and in 1982 he ventured out on his own while Garnet doubled down at home by expanding the farm’s land base another 900 acres. By this time, the farm was operating under a system of two-thirds crop and one-third summer fallow. The succession planning between Garnet and his father was tense at times, and much of it was predicated on the son’s youth and ideological approach to farming. “When I first started farming, I wanted to own the land myself. I was all ramped up. You need to have that as a young person, but you also need to realize it takes time,” he says. “Dad discouraged me from that. He always said, ‘the land is going to be yours,’ but I wanted to own it, pay for it, take leadership of it. I ended up making a deal with dad and thank God I did. 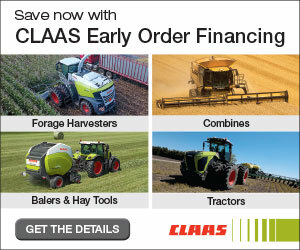 Because I wouldn’t be farming today if I borrowed that money. 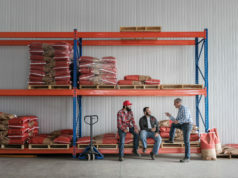 One gigantic conversation that will be narrowly avoided due to farmer blowback was the potential of the Trudeau government’s changes to tax laws, which would have greatly affected many farm businesses and inter-generational land transfers. Much to the relief of the Martin-Kelly clan and others, those ideas have been walked back. However, such policies underscore the need for farmers to have clear directions and understandings of what they have today and where they want to be tomorrow. Above: Mathieu Kelly with sons Copeland and Jennings – Photos courtesy of Lesley Kelly. 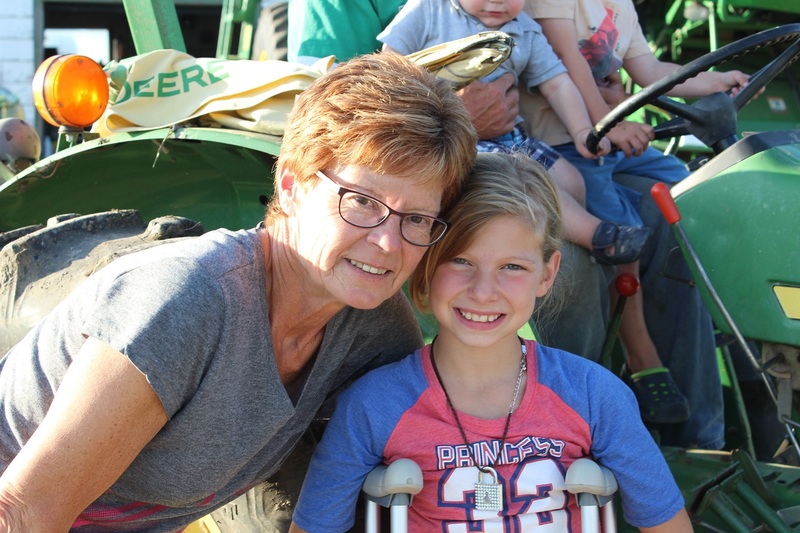 For the incoming fourth generation, the sacrifice and hard work of Garnet and Darlene only makes them want to repay both the patriarch and matriarch to help secure the farm’s future, not create tension. For Garnet, he’s been making decisions his entire adult life. After his cousin’s departure and the acquisition of additional acres, Garnet realized the equipment needed to be upgraded. He expanded the machinery line that same year to make farming 2,400 acres more economical. However, the shiny equipment was the only bright spot for more than a decade at the farm. 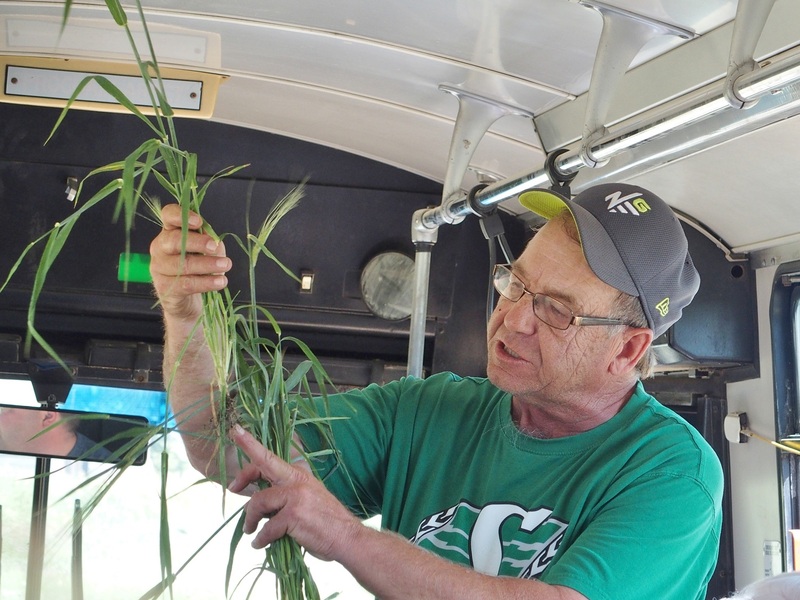 He tried his hand at everything – from studying grain marketing to rescuing the old wooden Watrous elevator from certain destruction and even dabbling in value-added with Lesley making Martin Munchies snack foods with the farm’s barley – and never waited for life to come to him. 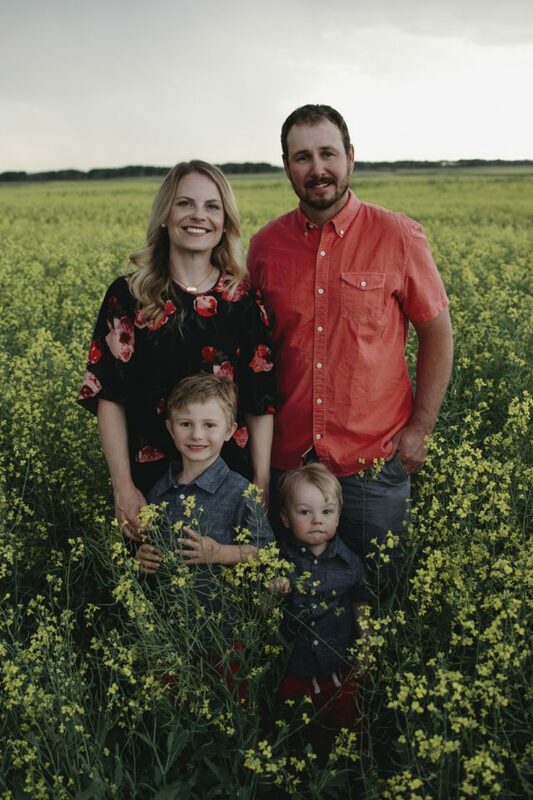 By the time 2010 hit, the fourth generation had earned their stripes in a variety of ways off the farm, and slowly but surely the idea of life in Watrous continued to tantalize the kids. Mat had explored life on other farms and the black gold rush of Alberta’s oilsands. 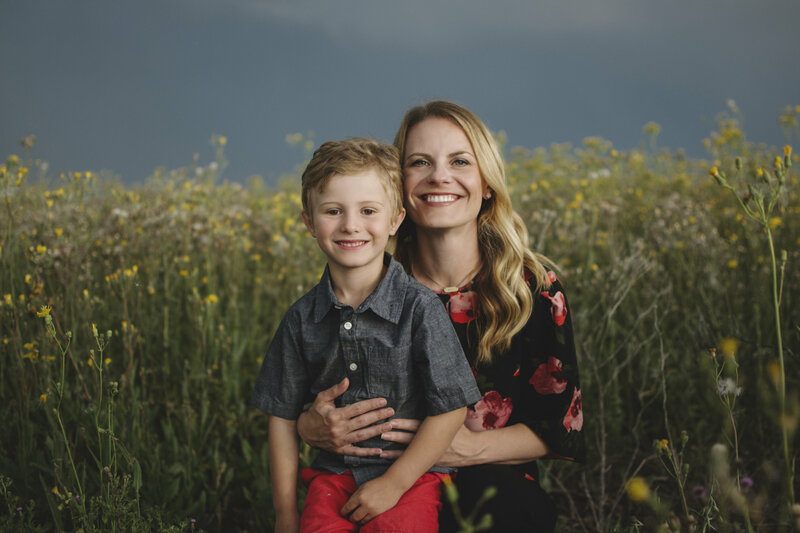 Lesley has spent the bulk of her career in marketing and still works hard to promote the farm through her blog High Heels and Canola Fields and co-hosts an agricultural podcast. 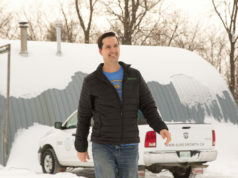 Derek became a father, moved to Manitoba to work for an outfitter, tried his hand at farm life with another Saskatchewan family and spent time in agri-retail. The return to the family farm has proven to be just as big a test of character and resolve as the succession planning itself. With Garnet as the farm’s figurehead, honest conversations have helped everyone as difficult topics have come up in discussion. “Now we are in this time where the boys are taking on more responsibility, and they want to make those final decisions,” says Lesley. “Sometimes there is confusion about ‘do I run this by Garnet?’ That’s the transfer of management taking place. Through it all, the family maintained open communication, even when it was difficult, and one of the other core values – finance – was invoked, and the joint partnership with each family receiving one-third of all farm income was formally established. There is an agreement at Evergreen Woodcreek Farms that if anything should happen and any of the three family units can no longer farm, their interest will be bought out and they will be taken care of appropriately. “In the farm plan, you always need an exit strategy,” says Garnet, who considers succession planning his exit strategy from farming. A big way they overcame their differences, ensuring their best chance of success, was to hire an outside consultant. That person walked through scenarios and coached them through the process, offering tips and helping to avoid common succession planning pitfalls. The family even went so far as to take a personality test, the famed Myers-Briggs, which assigns four letters to create a personality archetype. While Mathieu cannot recall his assessment, he’s the first to say, “I’m a feeler. 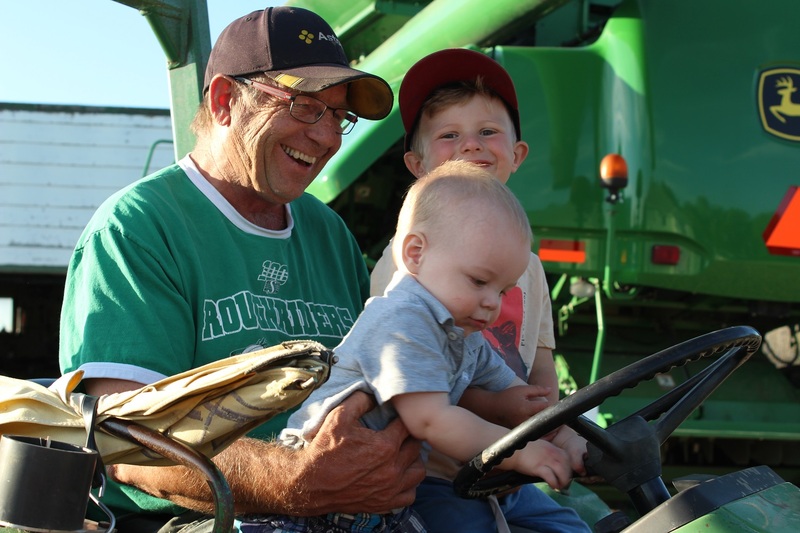 I’m an emotional guy is what I am.” Such emotions are common during succession planning – good and bad – and help families determine what direction the farm will take and how goals will be achieved. The sessions were difficult, and Lesley had no idea how it would affect her and others on the inside. 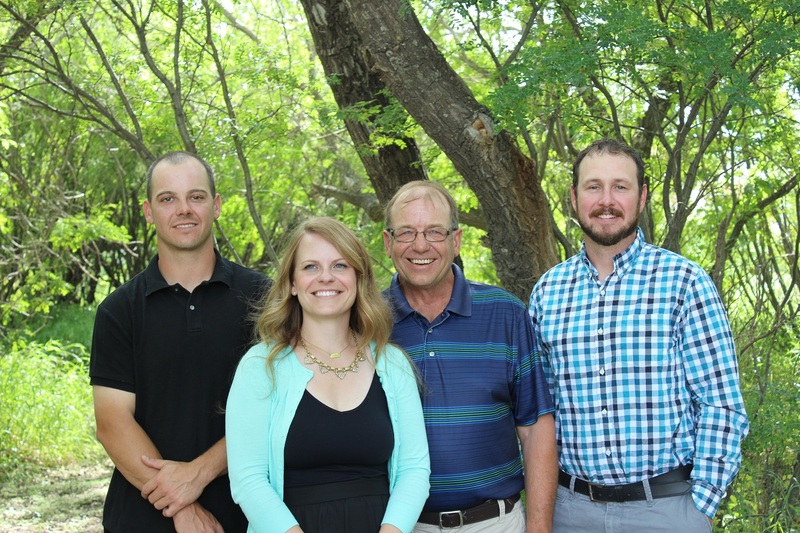 With three families officially farming together, everyone knew that a limited number of acres wouldn’t be financially viable. 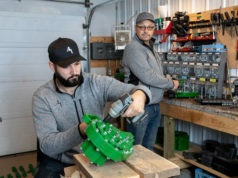 Mathieu and Derek took charge in the first year of their partnership and rented an extra 1,000 acres and upgraded machinery to reflect the scale of work that needed to be done, just as Garnet had in the early ’80s. However, nothing could prepare them for 25 inches of rain. Now entering its eighth year, the partnership is still fluid and ever-changing, and likely will always be that way. As Garnet and Darlene slowly lessen their in-farm involvement, the same discussions from eight years ago will crop up, but from different perspectives. “Things change and you may have great intentions about a five- or 10-year plan, but be patient. There’s ups and downs,” says Mathieu. Lesley echoes her husband’s sentiments. “We do need help. We need someone to come in and have a look at what our roles and responsibilities were a few years ago,” she says. “In six to 12 months, I would really like to identify, when my dad transitions out, how the farm will be set up; the roles and responsibilities; what you need to do is be really, really clear and how we can help each other.